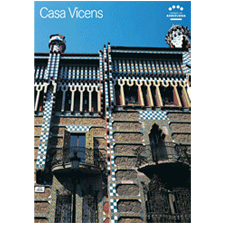 The first architectural work of Antoni Gaudí should not be missed by the admirers of Gaudí's work. 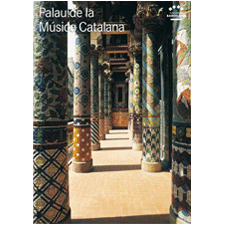 There are few Unesco World Heritage Sites that are so accessible to the community as the Palau de la Música Catalana. 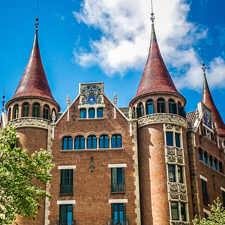 This landmark building designed by the architect Lluís Domènech i Montaner remains one of the city's most prestigious concert halls. 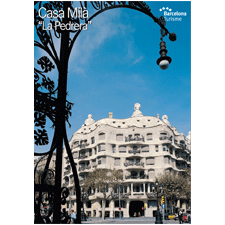 World Heritage Special 3 - Casa Milà " La Pedrera"
Barcelona is one of the great architectural capitals of the world, thanks to the treasures bequeathed by Antoni Gaudí.His most imaginative building is La Pedrera or Casa Milà, which drew on the very boldest ideas of this genius. 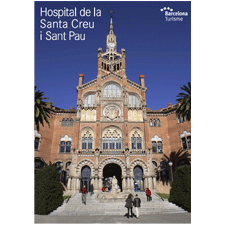 The importance of the Hospital de la Santa Creu i Sant Pau lies in the way in which its function as a hospital has been successfully combined with its aesthetic features, which have much in common with French art nouveau, with many motifs from nature. 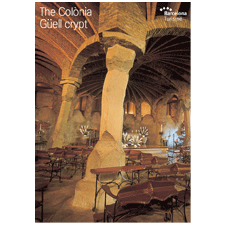 Gaudí received the commission from Count Güell as part of his model industrial village, a cluster of cottages which housed the workers from the textile mill he owned. 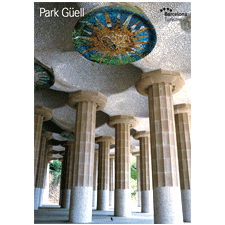 Gaudí was a great urban planner and the creator of unique spaces, and once again left his imprint on the Park Güell, where we can see reflected his ideas of symbiosis between man and nature. 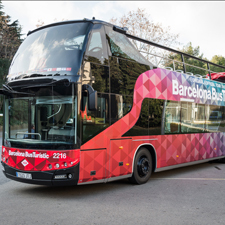 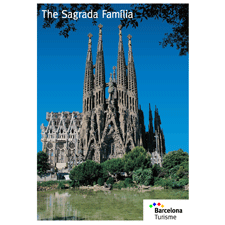 Inspired by medieval cathedrals with three doorways which lead into each of the naves that intersect with the central aisle, the Sagrada Família rises up in the middle of Barcelona, in the style of a neo-Gothic building. 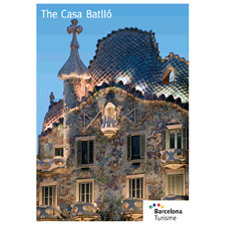 The Casa Batlló is the result of the renovation of a building constructed in 1877. 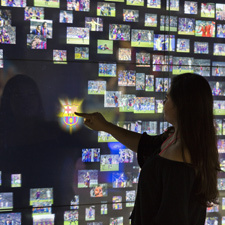 Gaudí's imagination and creativity, together with the ideas of the architect Jujol, made the project into an exceptional example of the refurbishment of a dwelling. 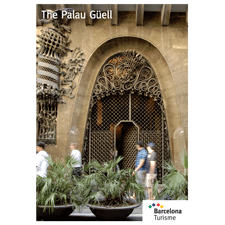 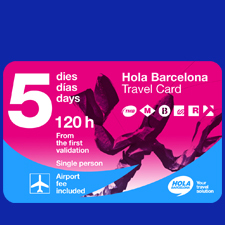 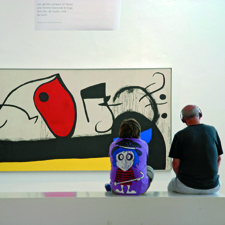 The Palau Güell reveals a highly original design. 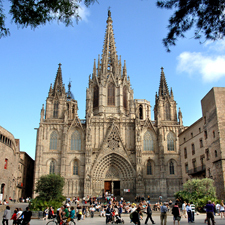 The aim of the commission was to show, in some way, the social and economic status of the Count. 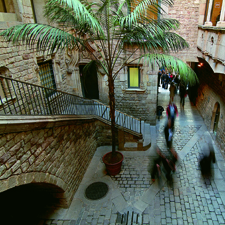 Güell asked the young Antoni Gaudí to built a palazzo-style mansion.